At our game on Bank Holiday Monday (kick off 12 noon) Bishop Auckland and Shildon will pay tribute, along with relatives and guests from Grimsby Town, to Sidney Wheelhouse. Sid was born in Bishop Auckland in 1888. 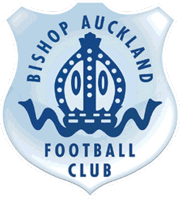 At the very young age of 13 Sid turned out for Bishop Auckland, who were champions of the Northern League. He moved on to Shildon Athletic before signing for Grimsby Town in 1907, reportedly turning down Sunderland, where he was very popular with the supporters becoming captain of the team. Sid married Agnes, a local girl. In the five years before the First World War, they had four children, although baby Sidney died before his first birthday. On January 1, 1915, the Government announced that a special football battalion was being formed: 17th Service Battalion (Football) of the Middlesex Regiment. It was along the lines of the Pals regiments which encouraged groups of friends in towns like Darlington and Durham to join up together, so footballers, referees, officials and even supporters were encouraged to join the 17th. The concession was that, while undergoing Army training, the players would be allowed leave on Saturdays to play in matches. On February 24, 1915, Lieutenant Arthur Tickler, the son of the town’s Conservative MP, had visited the Blundell Park football ground and spoken to the players. Obviously Sid, as captain, was the one he needed to convince. Sid and his team-mates were among the first to join the Footballers’ Battalion. While they trained, they were allowed back on a Saturday to complete the Mariners’ fixtures in the Second Division – the last of Sid’s 247 appearances (39 goals) for them was on May 1, 1915, and after that the FA suspended the professional league and cup competitions. In November 1915, the 17th was sent to Loos, near Lille in France, on the Western Front. 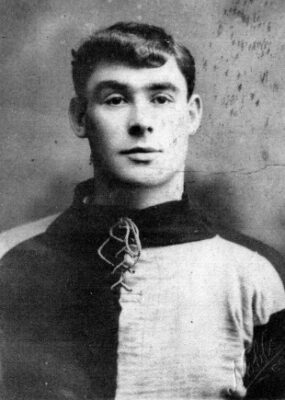 The battalion comprised 600 football-related men, including goalkeeper Tommy Lonsdale who had played for west Auckland and Bishop Auckland before signing for Grimsby Town. When at home on leave, Sid guested for Clapton Orient – now Leyton Orient whose entire team had joined the 17th – and made his last appearance on May 6, 1916, at Blundell Park. The match raised funds to build a memorial to the 31 members of the Manchester Regiment who had been killed in Cleethorpes when their barracks, a Baptist church, had been hit by a bomb dropped by a Zeppelin airship. Leave over, Sid returned to the front. By now, he was a corporal and the 17th were involved in the fiercest fighting on the Somme. He survived battles at Delville Wood and Guillemont, but on September 18, 1916, found himself near Beaumont. It was raining and Sid volunteered for a working party that was shoring up the sodden, sliding trench walls. At teatime, the enemy sent over a wave of trench mortars, detonated a large mine, and – before the working party had time to prepare – filled the trench with gas. None of the working party survived the attack, and like Sid most died in the field hospital and Lance Corporal Sidney Wheelhouse was one of about 1,000 men that the 17th Football Battalion lost. He is buried in Couin cemetery, near Arras.